Window treatments can change the aesthetic of a room. 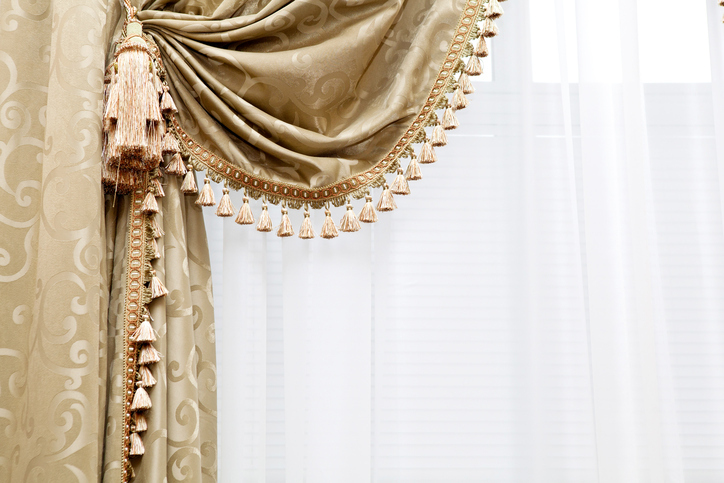 If you want to update the look of your home in a non-time consuming, invasive, or expensive way, new window treatments may be just what you are looking for. They can instantly alter the look and feel of a room, making it feel wholly new. If you aren’t sure where to get started, do not worry. Below you will find a handy guide that will provide you with all the inspiration you need to choose the best possible window treatments for your tastes, environment, and budget. While these blinds have been around for decades, they have only recently become popular with homeowners and interior designers. These stylish and affordable window treatments are also eco-friendly, as they supply an extra layer of insulation at the windows. This can not only reduce your carbon footprint, but take your energy bill down a notch. They are easy to install and available at a variety of price points. Natural materials such as bamboo and rattan are on trend. These soothing natural materials bring the outdoors inside in an understated and elegant way. On their own they offer a minimal but still cozy look and can be layered with curtain panels for depth and contrast. They offer a truly versatile look for both minimalists and those who enjoy a more complex look. If you have standard sized windows they are reasonably priced, but having them custom cut to suit windows of unusual sizes can add up quickly. These go-to window treatments never go out of style. Their simple and clean lines have led to a resurgence in popularity as homeowners seek the soothing look of relaxed and casual spaces. They add softness and color to any space without being fussy or overdone. The cost can vary widely, depending on whether you choose to make them yourself, have them custom made, or buy a ready made version from a big box retailer. Columbia Paint Company is happy to help you choose the perfect color for your painting project and offer you tips for every step of the way. Not sure how to make sure your siding, trim, and accent colors match? Need to see the paints you loved online in person? Schedule an appointment today by calling 443-319-4001 or visiting us online. For more painting tips and updates, follow us on Facebook, Twitter, Google+, LinkedIn, Houzz,YouTube, and Pinterest!